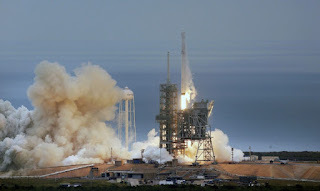 SpaceX which is a company that designs, manufactures, launches advanced rockets and spacecraft decided to launch a rocket from the historic "moon pad" where the moon landing equipment was launched. The rocket that SpaceX decided to launch was their Falcon 9 rocket that was not only unmanned but was also headed for the International Space Station (ISS) to deliver supplies. As the Falcon 9 rocket took off the crowds of people watched in awe as the rocket headed skyward.However, that is not all as SpaceX decided that they also wanted to land the leftover booster packs at the very same launch location where the rocket originally took off. It was not until a few minutes later that the crowd started to cheer because they had received the news that the rocket had reached orbit successfully. However, it must be noted that rocket will only be delivering the supplies to the ISS by Wednesday, Feb 22, 2017.The rocket will be delivering 5,500 pounds of food, clothes, and experiments for the crew of the ISS. Elon Musk t also celebrated via the social media platform known as Twitter he tweeted "Baby Come Back". 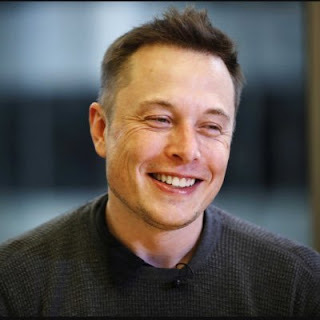 He also has said that he is more than honored to use the platform for the SpaceX launch. SpaceX would also like to launch astronauts from the platform next year. This is a huge comeback for SpaceX because the last time they launched a rocked it, unfortunately, had an error and an explosion happened. That happened last summer. Musk, also tweeted Saturday that the company SpaceX has "retired" a lot of research and risk of their Dragon Capsule. "that I feel very confident of 2018." However Saturday there was an engine error that SpaceX scrambled to fix. Sadly the launch was delayed because Elon Musk did not want risk anything going wrong with the rocket that is also very expensive. The launch, however, did go on but was slightly delayed.